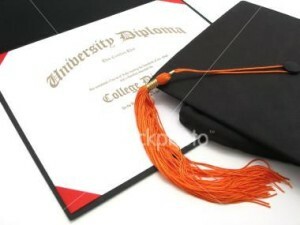 Home › FAQ › How Long Does ItTake to Receive a Bachelor’s Degree? How Long Does ItTake to Receive a Bachelor’s Degree? While young adult students may not care how long it takes to receive a bachelor’s degree, parents who pay their child’s university tuition, room and board usually pay close attention to that particular detail. The traditional answer for most academic degree programs is four years. However, many modern students do not live in a traditional world. Today’s scholars have a myriad of options available to them at the undergraduate level, and the flexibility in degree completion schedules reflect those choices. Here are some examples of undergraduate degree programs that typically take longer than four years to complete as well as some common circumstances that cause students to delay graduating within four years. There are a few degree programs that normally take longer than four years to complete. Students who enroll in certain engineering disciplines can often expect degree programs that take at least five years to complete. The universities that offer these types of programs purposely craft curricula that is both comprehensive and rigorous. The schools communicate the level of effort and the expected time to complete the programs to students before they enroll. Universities that offer architecture degree programs also have stated five year programs built within their curricula. Degree completion takes longer because the types of courses offered help to prepare students for professional licenses. More of today’s schools rely on experiential learning opportunities to supplement classroom lectures. They have responded positively to industry’s demand for fresh faced professionals who can conduct real world problem solving instead of just regurgitating theoretical information. This type of employment candidate requires academic preparation that was normally not available to students 10 or more years ago. Field studies and internships are used to give students the polish and professional networks that they need to transition smoothly from student to valuable employee. Universities also recognize that many businesses are operating internationally or seek to extend their products and services to foreign markets in the future. That is why study abroad options that were previously popular only with foreign language degree candidates are now offered by many schools to students in nearly all majors. The only hindrance with participating in these valuable programs is that they can lengthen a student’s stay at university beyond the typical four year time frame. Some students are not relying on their parents’ purse strings to fund their university experiences as undergraduates. These extremely responsible individuals are often too smart to get loaded down with student loan debt. Subsequently, their graduation dates get extended as they take time off to work for tuition money, according to Time Magazine. They leave school with little or no debt, but it may be harder for them to keep pace with classes that present progressively tougher concepts as they repeatedly take large segments of time off to work. The undergraduate degree is usually the foundational step that young people use to launch their professional careers. While university administrators create plans to encourage students to graduate within the standard four years, many of their students seem to prefer taking their time and gaining as much from the experience as they possibly can before beginning their professional lives in the real world. Generally, they do not seem to worry about how long it takes to receive a bachelor’s degree.